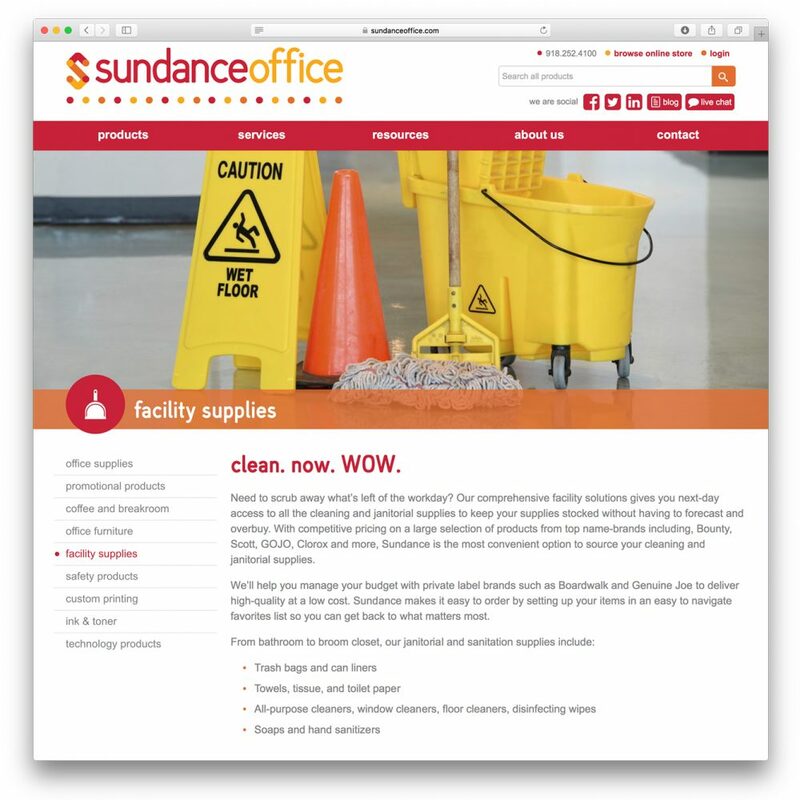 The need for a new website motivated the team at Sundance Office Products to take a hard look at their brand. 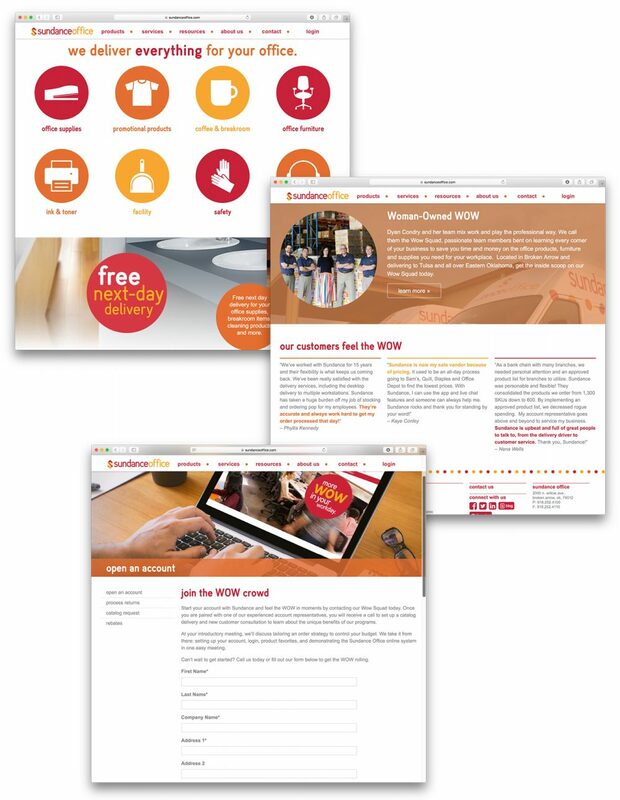 The company had a playful, perky brand but it did not represent the robust business solutions the company was now offering. We created a fresh and friendly brand with a new visual identity, a new brand story, a solidified value proposition and a full brand framework. 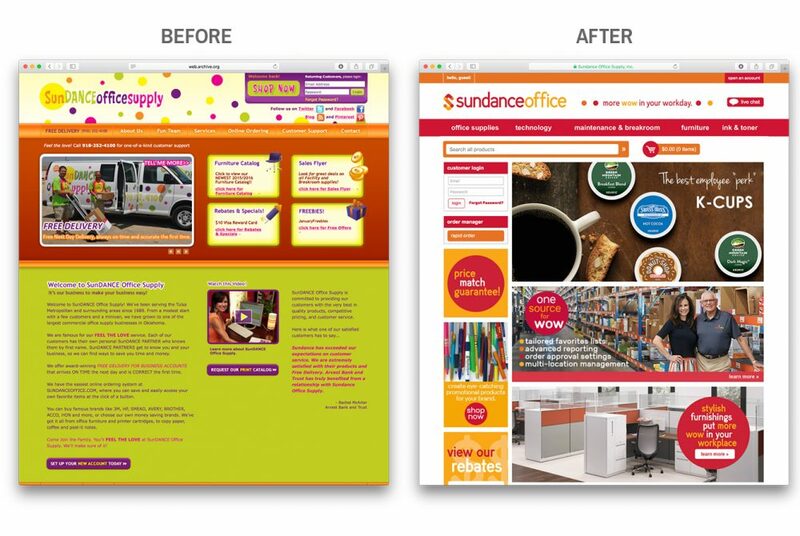 From there we built an entirely new website, complete with SEO-optimized content to tell the full story. 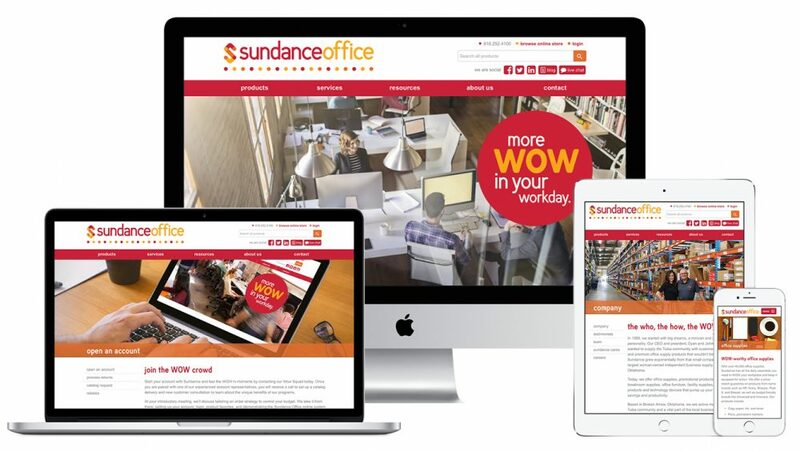 Now Sundance has a lot more WOW in every workday.